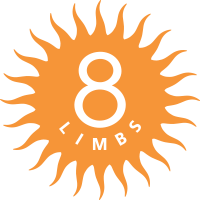 8 Limbs Yoga | MC Yogi in Seattle! During the 2008 election season a song hit the studio from a new musician on the yoga circuit. “Vote for Hope” had a hip hop groove and featured snippets of Barack Obama speaking while MC Yogi rapped over Obama’s smooth and powerful voice. This up and coming artist’s other early songs featured leaders like Gandhi and the character Hanuman from Hindi mythology. With songs like “Ganesh is Fresh” and “Bhakti Boombox,” Elephant Power was full of positive messages and infectious rhythm. On the way to British Columbia for Wanderlust Whistler , MC Yogi will visit our fine city on August 17 to offer a Workshop with his yoga teacher wife Amanda and a Concert with The Sacred Sound Society. 8 Limbs is co-sponsoring this event with OmCulture (also the location of the event, at 2210 N. Pacific St.). We expect the show to sell out in advance, reserve your tickets soon to join us for this exciting event.